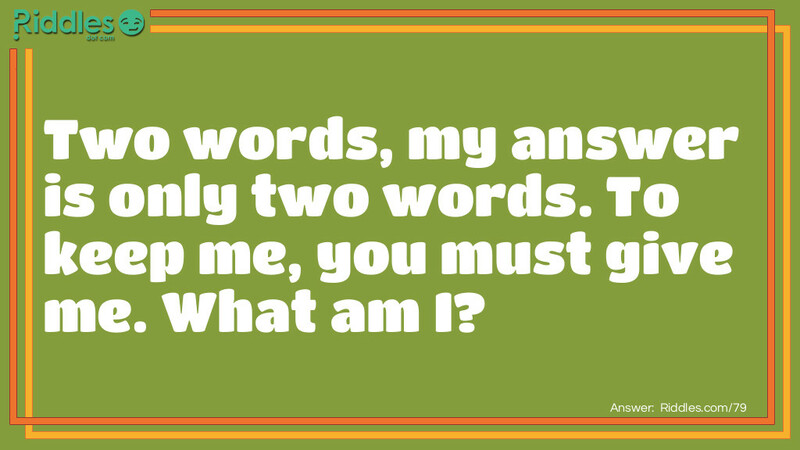 Two words, my answer is only two words. To keep me, you must give me. Give me to Keep me Riddle Meme with riddle and answer page link.